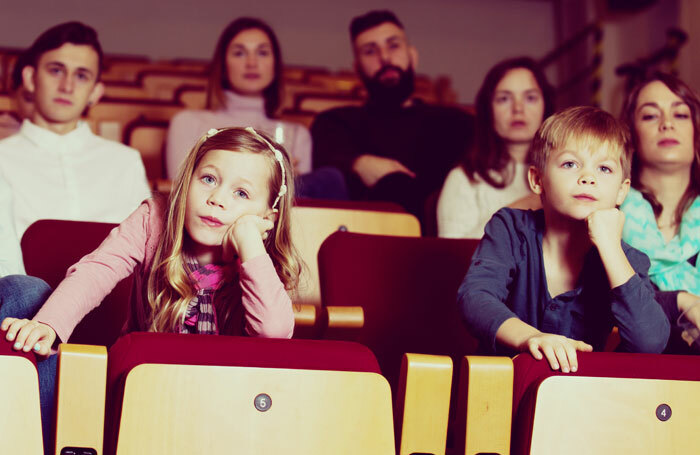 If venues take money from the theatregoing public for children’s shows, then they have a moral duty – it should be a legal one – to accommodate their customers. Far too many neglect it. I recently saw What the Ladybird Heard, which played under Thriller Live at the Lyric on Shaftesbury Avenue. The target audience was under-fives… It wasn’t Gotterdammerung. The venue was presumably expecting hordes of young children. So why were there no booster cushions so that small people could see over the seats in front? Have you tried sitting, say, a three-year-old in a conventional theatre seat? The little one will slide back in the seat and won’t be able to see the stage at all. They need booster seats and any half-decent theatre provides them. So why didn’t the Lyric? Families are expected to pay for seats (lowest price £16.67) for these children who have little or no visibility of the stage. It is extremely uncomfortable for an adult to sit for an hour with a two-stone child on their lap. And what is an adult who has brought more than one small child supposed to do? This message was on the website: “This venue does not supply Chilterns [sic] booster cushions. Please consider this when preparing for your theatre experience with small children at this venue.” That hardly covers the problem. Are parents, carers and teachers now supposed to bring their own booster seats? Any theatre that stages theatre aimed at children should invest in booster cushions as a matter of course and it is disgraceful that some do not. The Lyric experience is fresh in my mind but the theatre is by no means the only culprit. Congratulations meanwhile to enlightened venues such as Marlowe Canterbury or Oxford Playhouse and the many others that do. Then there’s the lavatory issue. Children go to shows like The Hunting of the Snark at the Vaudeville, which ran until September 2, during the day in nursery groups with teachers or mums and grans. There aren’t many men around. That means the queues for the ladies’ loos are even worse than they usually are in a theatre; not least because women take their boys to the ladies as well as their girls. So why doesn’t the management routinely make all lavatories in these venues temporarily unisex? I once saw the manager of Churchill Theatre Bromley make that decision to ease the ladies’ lavatory queue during the interval for a children’s show. Logical thinking. Sensible chap. Children have specific refreshment needs too. They’re hardly likely to want coffee or gin and tonic. Most theatregoing parents seem to travel with large bags of contingency fodder but theatres may well be missing a trick or two by not meeting children’s needs with, for example, small bottles of water, individual cartons of juice and, maybe, small wrapped biscuits. They could put the profits towards the purchase of booster cushions.